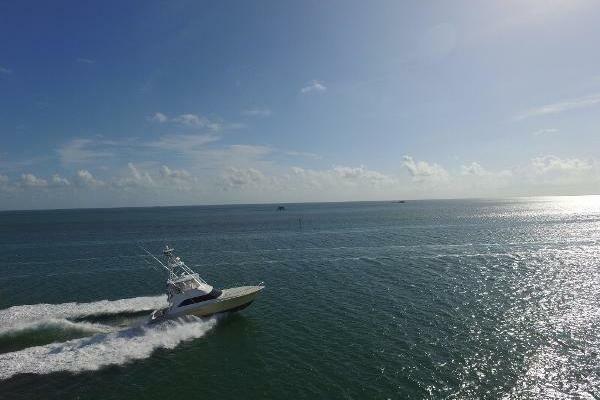 Strong-selling tournament fisherman combines classic Viking styling with luxury-class accommodations,best-in-class performance. Lavish three-stateroom interior is an impressive display of high-gloss teak joinery, designer fabrics, top-quality furnishings. Highlights include spacious open-plan salon with dinette and home-size galley, massive cockpit, meticulous engine room with cockpit access door. 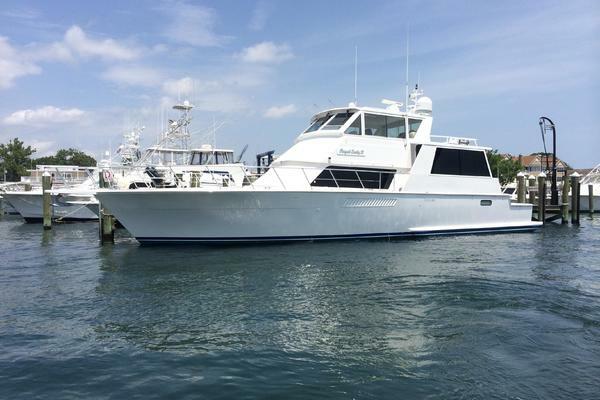 United Yacht Sales New Jersey would love to guide you through a personal showing of this 56' Viking Convertible 2004. This yacht for sale is located in Unknown, New York and priced at $899,000. For a showing please contact us by filling out the form on this page and we will get back to you shortly! The Salon, with premium decor, is a delightful relaxation & entertainment area filled with natural light from the large windows. The fully equipped galley is located on the same level as the salon and the dinette is across to starboard. The VIP stateroom is at the end of the forward companionway and provides sleeping comfort for 2-3 guests w/the double and twin crossover berths. The VIP Head has access from both the forward and starboard staterooms. This guest cabin is off the forward companionway and has a private entrance to the head. The large self-bailing cockpit, w/teak deck, is thoroughly rigged for big game fishing. The bridge is accessed from a starboard side ladder. It has a well-configured helm station w/Bluewater Captain and Mate adjustable seats, plus seating for guests. There is ample storage, along w/an insulated soda box for days when there is no time to go down the stairs. Watertight, gasketed Lexan hatches cover all electronic navigation aids at the steering station. There is plenty of room to walk around the helm and companion seats. Full line of flush-mounted electronics in waterlight boxes. The engine room is very well lit and everything is powder-coated or Awlgripped white. Engine mounts are installed atop steel-beam engine bearers gusseted into dedicated, intermediate bulkheads.